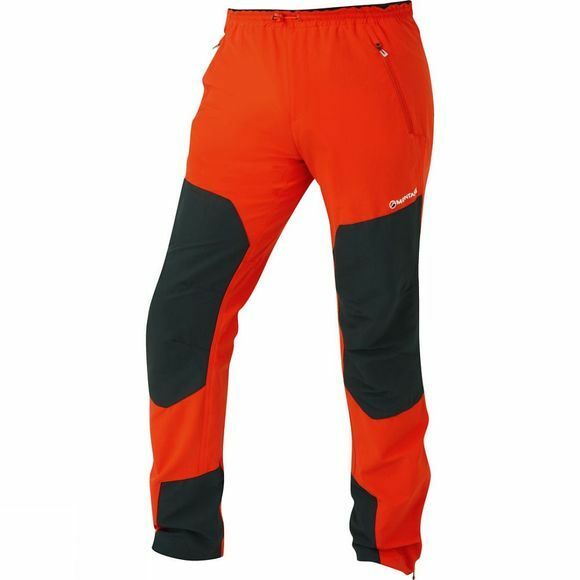 Developed for spring or summer alpine-style climbing, these trousers have high stretch and a close alpine fit. Granite Stretch fabric wicks hard, dries fast and has a four way stretch for dynamic body movement. Granite Stretch Tough reinforcement across the knees, lower thigh and instep, provides hard-wearing protection from abrasive, rocky terrain. Articulated knees and an active cut allow easy step-high movement, perfect for mountain use, while gusseted ankle zips let you reduce volume around the calf and hem.